Can you remember the joy you had the day you had your new born? No, maybe you have not yet got married or simply you have not yet been blessed by a kid. It’s never too late, be reminded that God is in control and will take care of you. One day. Yes, that day! The joy we, at Rudi International have today is shared by so many people we cannot count because it’s actually the future of the whole continent of Africa that is touched by this event of new born in our Rudi family. 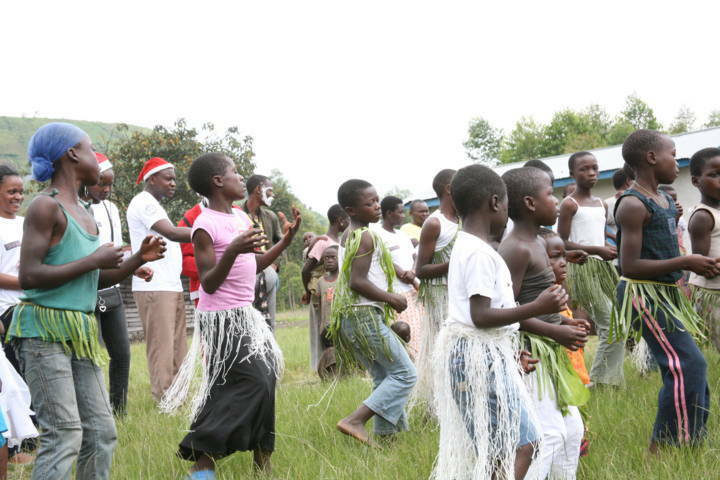 Friends, we are happy to let you know that the number of people who are making the difference with us in eastern Congo, the most war-torn region of the country, has increased and we are happy for that! We don’t have the real number of people who care about our work. We have been blessed for our network of donors and supporters has increased as well. “Welcome aboard!” said our President Alain Rafiki in the email he was sending to all of you! We have people from the United States, from France, from Belgium, from the United Kingdom, from Canada, from South Africa, from Rwanda, from the Congo and other countries of the world who have joined in. 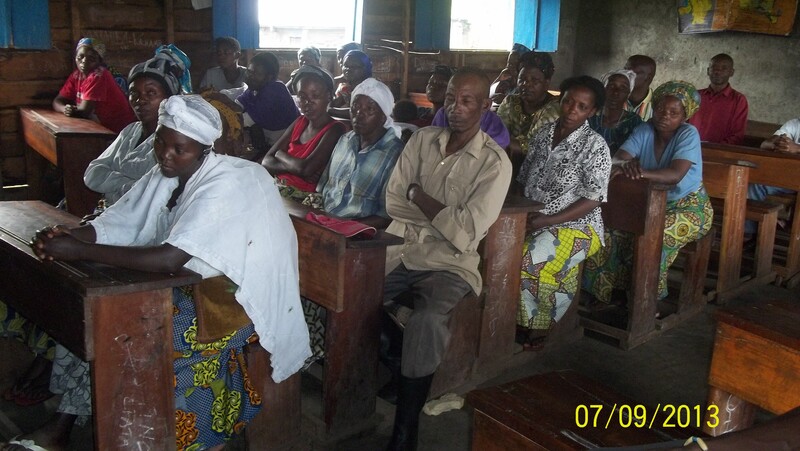 There are so many others who have joined us through Mwangaza International, our partner and friend’s organization. We thank you too! 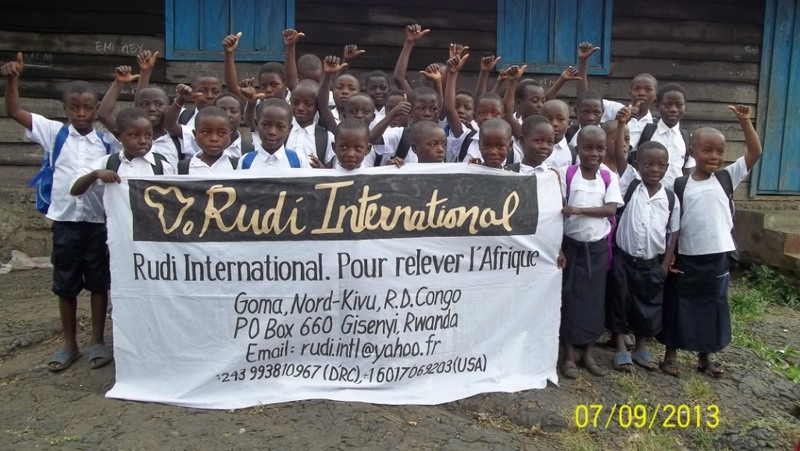 Note that… our goal at Rudi International is to reach the African diaspora and incite them to take part into the development of Africa through concrete actions. We have been blessed to be joined by people from other continents and who have a heart for Africa and for the Congo. We call them Friends of Africa and we are proud of them. We can’t thank you enough great people that God has used to serve with us with so much love and passion. This school year, we are blessed to be joined by a wonderful group of 16 new kids from this rural area of Eastern DRC we have been working in. This region is underprivileged and only few organizations are operating here to bring hope to the many Internally Displaced families in need here. Through our Rudi Education program, we sponsor the education of kids affected by war and similar disasters. Some have families, others have lost it all. Each one of these precious kids has his own story. Some have lost one or all parents and are staying at a family member, some have seen one of their parents left due to hard life. Some have been displaced due to war in their native regions and are now living in lands they are renting. Moreover, all of these children have one thing in common: they have completely lost any hope for the future because they don’t see anything or anyone to convince them of a possible future for them and their families. Last school year, we have been working with a total of 16 kids as our direct beneficiaries. We could reach so many other kids through other public activities organized in this rural community of IDPs. We have been also supporting the way we could the kids and their families in their social life. The goal we pursue as we are paying their school fees is another: we want to raise a new generation of kids in the area who have another perspective or understanding of life, different from the common. We want to build a bright and a big vision of a possible future for them and their families. We want to have a generation of kids who understand that despite the hard conditions of life they are obliged to live in, they can start building a new style of life plenty of joy and happiness for them and for their friends. And we are happy and proud for the kids we have been following as of now. They are no longer the same kids we met a year ago. This makes us believe in the power of love to transform a broken heart into something new. That’s why we had a goal to double the number this new school year in order to double our impact in their lives. The total of kids we have in our education program is passing from 16 to 32 and we thank all of you who are part of this success. Yes, we call it a success! Not only the kids but also, that means that we have been joined by 16 new families. A total of 32 kids, 32 mothers and/or fathers, etc. We are thinking of developing a new program that will work with mothers, to encourage them. Stay tuned to learn when this will be ready. Friends, we did this with your support and we are proud of you and we thank God who is using you and who is giving you the heart to support the people of DRC. 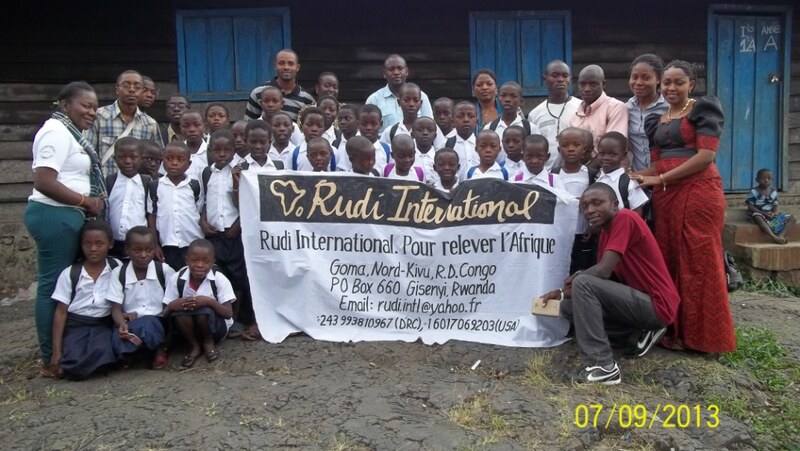 Together, we can build another image of the DRC in investing in the education of those in need. Stay with us and let’s get together into this boat that started its journey the day you sent your first donation to us. We will be having some exciting extra school activities with the kids and we need your support on that. Before we get to our Christmas celebration in December, you can make a donation whenever the Lord directs you and this will help us respond to the basic needs of these kids. We have a wonderful group of volunteers on the ground and even those with whom we are working from distance. They work and give of their precious time to make sure everything is going on very well. From wherever you are, you can join us and be part of this great cause. Make sure you visit carefully this section. Stay connected on our Facebook pages and follow us on Twitter. Register to our newsletter so you won’t miss anything from us. Finally, you can also watch a video reaping our first year and introducing the Education Program right here on YouTube.